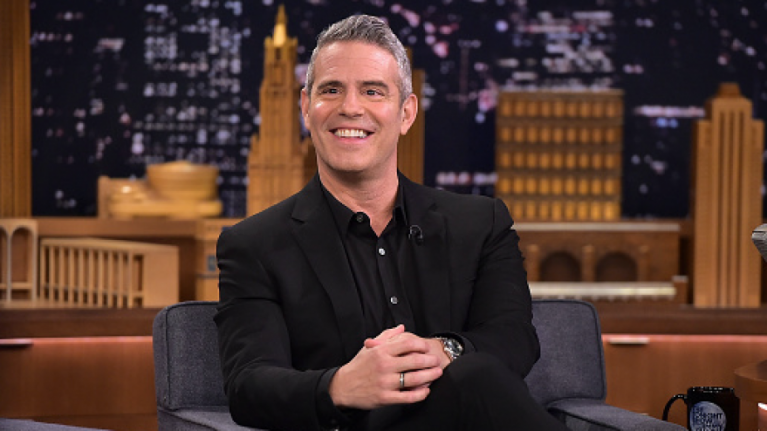 Andy Cohen has announced the birth of his son. The presenter, who hosts Watch What Happens Live on US television, shared the happy news on Instagram late last night. Andy, 50, posted an adorable black and white image of him cradling his tiny newborn son to his chest after his surrogate gave birth yesterday. He told his followers that the baby weighed 9 lbs 2 ounces at birth and that he'd been named after Andy's granddad. "WOW! This is my son, Benjamin Allen Cohen. He is 9 lbs 2 ounces, 20 inches !!" the proud new father wrote. "He is named after my grandfather Ben Allen. "I’m in love. And speechless. And eternally grateful to an incredible surrogate. And I’m a dad. Wow." Andy kept the news that he was to become a dad under wraps for much of the pregnancy. He only shared the news on his show in December, saying he'd always wanted to have a family of his own. "After many years of careful deliberation, fair amount of prayers and the benefit of science, if all goes according to plan, in about six weeks' time, I'm going to become a father thanks to a wonderful surrogate who is carrying my future," he said. "Family means everything to me and having one of my own is something I've wanted in my heart for my entire life."